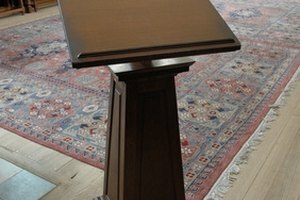 Place your speech on a podium when speaking. 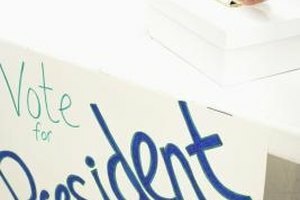 School elections allow students the opportunity to try their hand at student government. 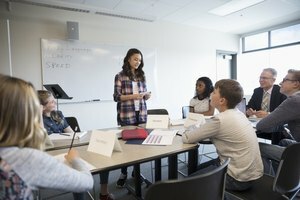 Students considering a position in middle school student government must write an election speech that will convince their peers as to why they are the best student for the position. Create the speech to be concise and clear, and avoid insulting other candidates to prevent students from viewing you in a negative light. Focus the speech on who you are and what makes you a positive candidate for the position instead. 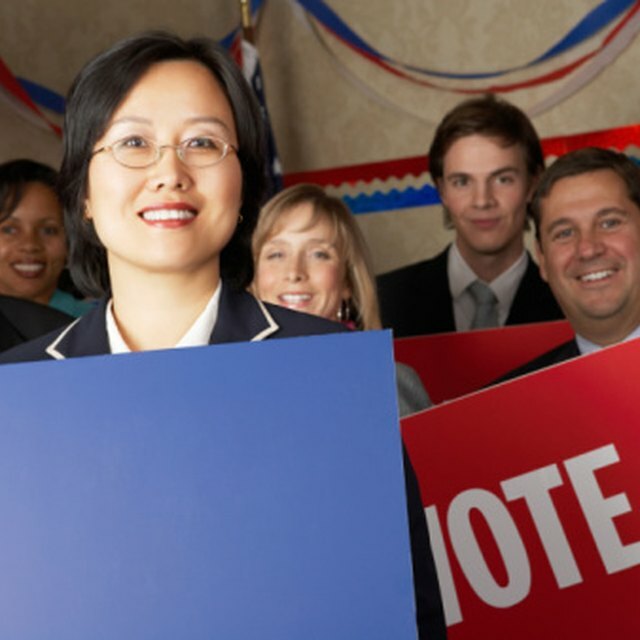 Brainstorm and list reasons that qualify you for candidacy. Focus on qualities that set you apart from other candidates, such as being a good communicator or having the ability to help others. Include activities that have allowed you the opportunity to act as a leader, such as tutoring other students or captaining a sports team. Take note of issues facing students at your middle school and how you plan address each issue. Stray from making promises that will be difficult to keep, such as offering pizza every day on the lunch menu. Also include ideas you have to improve school programs that will benefit students. Write the speech on notepaper or type it in a word processing program after the brainstorming process. Write three paragraphs, with four sentences in each paragraph, to keep the speech less than two minutes long. 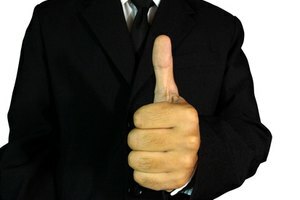 Highlight two qualities about yourself and your leadership experience to discuss in the first paragraph of your speech. 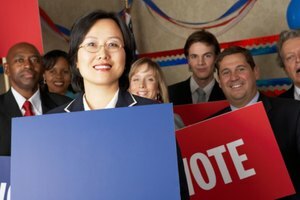 Choose two issues facing students and how you would confront the issues in your second paragraph, and conclude the speech with a review of the reasons students should vote for you. Thank the students and other candidates for their attention. Meave, Anya. "How to Write a Middle School Election Speech." 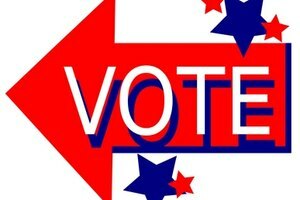 Synonym, https://classroom.synonym.com/write-middle-school-election-speech-7888819.html. Accessed 25 April 2019.